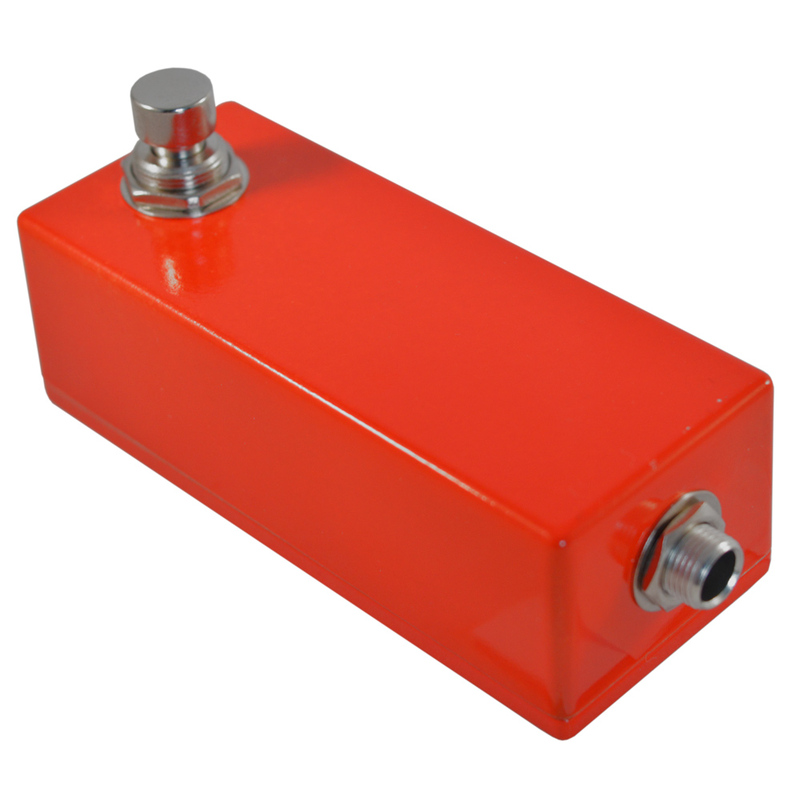 Need an effects pedal or amp footswitch, without giving a disproportionate amount of space to one, whilst always relying on immortal build quality? You’re in the right place, friend. Purchase this slice of awesomeness now and earn 38 Vein Tap Points! Simplicity. Ah, yes. For when you just want to click a switch to change something over, and that’s all. It’s the Skinny Little Switch Latching Amp Footswitch you’re after, my friend. The Skinny Little Switch is a switch for use with effects or with amps, for switching modes, functions and amp channels. 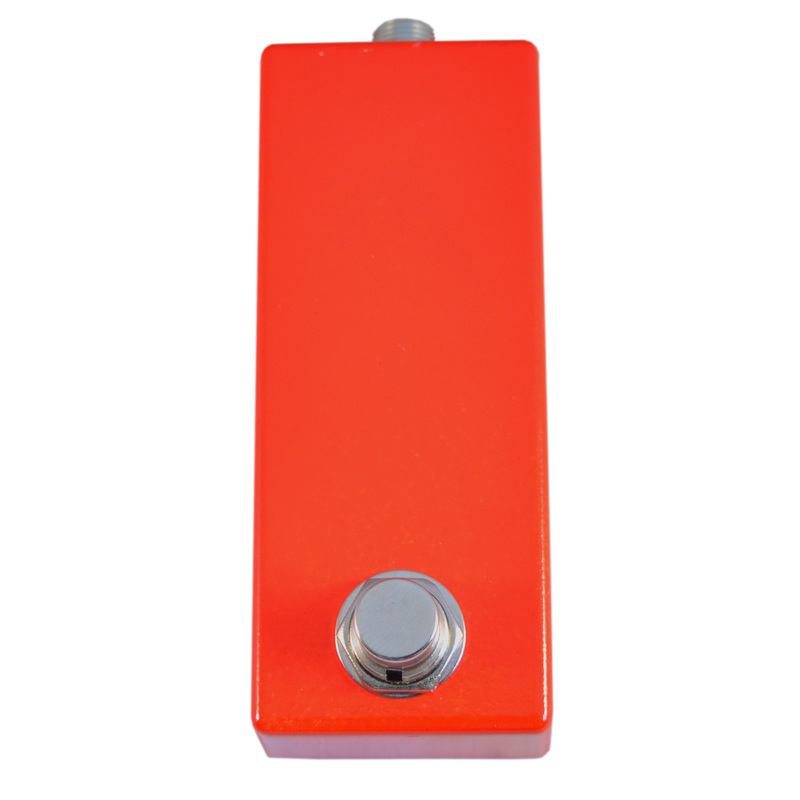 The Skinny Little Switch is a great, solid, small-footprint latching footswitch which can control a multitude of amps and effects pedals. Built like a tank, the Skinny Little Switch is complete with a lifetime guarantee. Not sure if this is the footswitch you need? Use the Contact Us page to make sure that the Skinny Little Switch is the one for you. 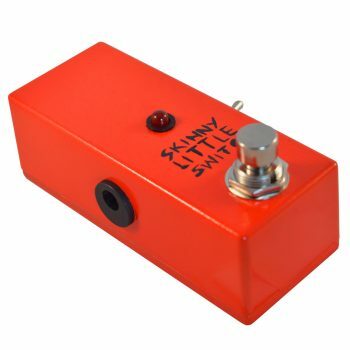 Buy a Skinny Little Switch now! Make your pedalboard that much sexier. It makes more sense than wine at a wedding! Covered by the Vein-Tap.com Lifetime Guarantee. Not much to add: it works, it’s solid. If I was to go back, I would have invested in its counterpart with LED. But as for the rest, it’s totally met my expectations. This is an awesome footswitch. It will look so much cooler on my new pedal board than the channel switching pedal Fender supplies with its Hot Red series of amps! Can’t wait to start using it. It’s seriously well made too. Buy one, you won’t be disappointed! Works perfectly for the ‘fat’ boost on my Fender Blues Junior. Well-built, nice action, and I like a bit of colour on my pedalboard. Use this for my Blues Junior, works exactly as expected in a neat size. Very well priced and good quick delivery. 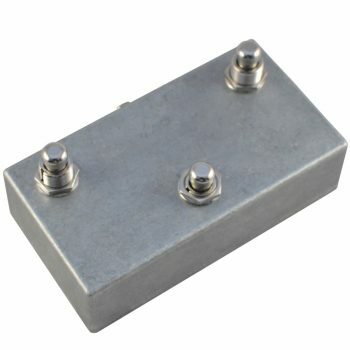 Use this to a switch channels on my jcm800, takes up very little space and is a pleasure to stomp on it. Perfect replacement for my Laney FS-2, that had taken to much space on my pedalboard. Connected via simple mono wiring to stereo jack on Laney LC30-III it switches between channels and the reverb stays on – that’s exactly what I wanted it to do. Works flawlessly and looks great as well couldn’t be happier! Also great customer service from Ben and quick delivery! I love the look of this little switch, and it’s very sturdy! Thank you for the prompt delivery and thorough packaging. Great products and awesome service. Had an issue and resolved immediately. Great communication. Great pedal, way smaller and more robust than the standard Orange footswitch.